During a recent meeting of the School Council, the councillors discussed their worries about the type of snacks that are being brought into school. They felt that a lot of snacks were unhealthy - for example, peperami, sweets or sausage rolls - and decided they would try to do something about it. They began their healthy snacks campaign on Monday by presenting a special assembly to the whole school. They talked about the snacks that are often being eaten and then gave ideas for healthier ones - fruit for example. They spoke of how much more energy we will have and the better we will feel if our food is healthier. They are planning to publish a leaflet for parents next term. 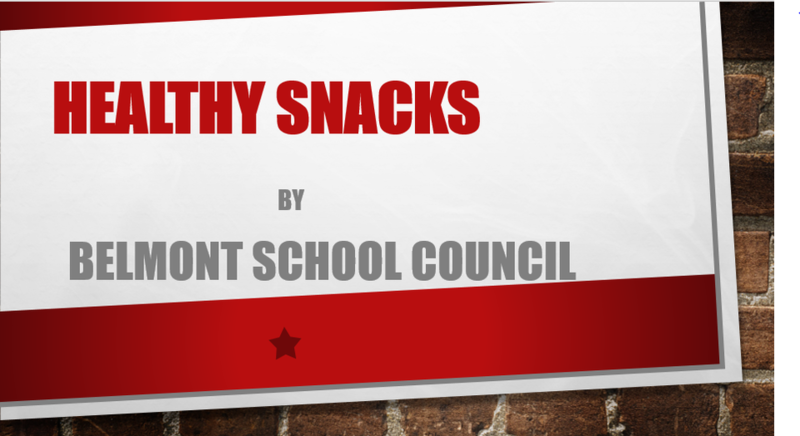 Healthy snacks (maximum 2 per day) may be bought from the Snack Bar in the hall each playtime.